Filipino Bloggers Worldwide has been nominated for "Best Community of Bloggers" in the Tatt Awards. Can you please help by NOMINATING/VOTING our group. it is time that we make a noise and let it be known that Filipino Bloggers Worldwide community of bloggers exists to help each other. 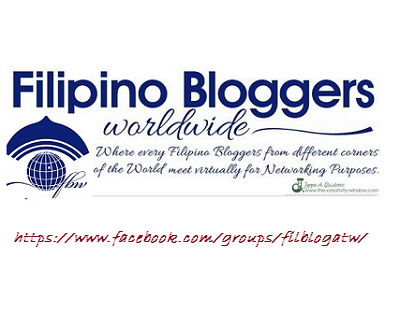 Filipino Bloggers Worldwide (FBW) started as a Facebook group on November 1, 2011 as Filipino Bloggers Around the World. As the name implies,the purpose is to unite all Filipino Bloggers around the world. The group aims to build camaraderie among fellow bloggers around the globe and help members on opportunities to make money online, increase and build traffic, gain followers, blog comment exchange, shareexperiences and many more. The group were known to other bloggers in less than a month and became the number one facebook Filipino bloggers group as of this time. We may all have different reason for blogging but we have the same goal which is to provide an active and supportive group. - A nominee should have at least one (1) social media account and that account should be personally owned by the nominee or the group that s/he is part of. Official accounts of corporate brands and media or publishing companies cannot be a nominee. - All the nominee’s social media sites should have original content and with no copyright infringement violations. - Employees of Globe Telecom, Inc. and its promotion agencies, including their relatives up to the second degree of consanguinity or affinity, cannot be a nominee. - Nominee can be of any nationality/citizenship. - A person can nominate as many people as he wants and he will determine the category which best suits the nominee. - A person can create his own category. 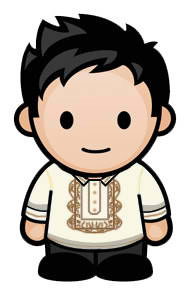 The user-generated category with the most relevant unique nominees will be part of final list of official Tatt Awards regular categories in 2013. - There should be at least one (1) URL provided for screening purposes. Facebook and Twitter accounts are optional unless it is the nominee’s main channel of engagement. - There should be at most a 140-character description for the nominee and reason for the nomination, based on the category guidelines provided below. I nominated and voted for FBW. I hope FBW wins in the best community of bloggers award. Keeping my fingers crossed that FBW wins this. Keep up the good work Ms. Tess! I nominated FBW. Woohoo! More power Sis Tess. Goodluck FBW. Hopefully we can get it. Voted!! Im really proud to be part of FBW. This is something I include as one of my achievements as a blogger and a writer. God bless FBW! Way to go! I am so proud of Filipino bloggers! Featured Blog- So, What's News?